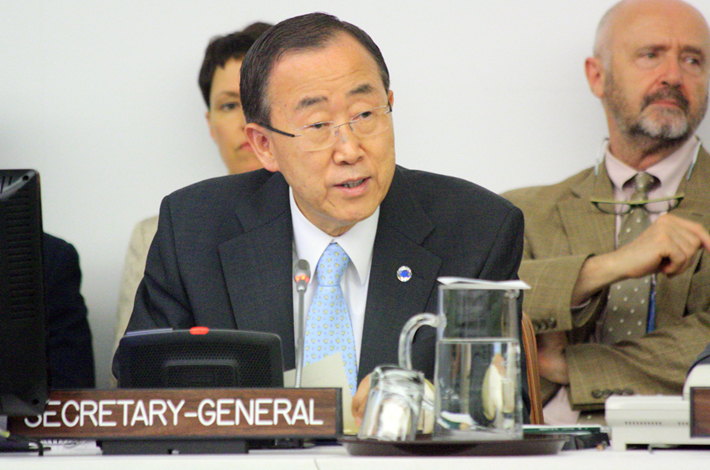 Ban Ki-moon, UN Secretary-General, addressed delegates on Tuesday afternoon. 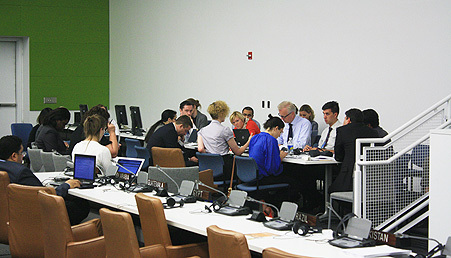 Delegates to the third round of “informal informal” consultations on the zero draft of the outcome document for the UN Conference on Sustainable Development (UNCSD, or Rio+20) convened at UN Headquarters, New York, for the first day of their five-day session. 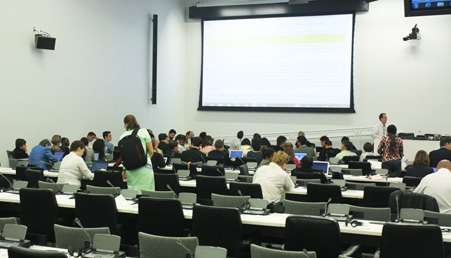 Negotiations took place in two Working Groups throughout the day and during night sessions. 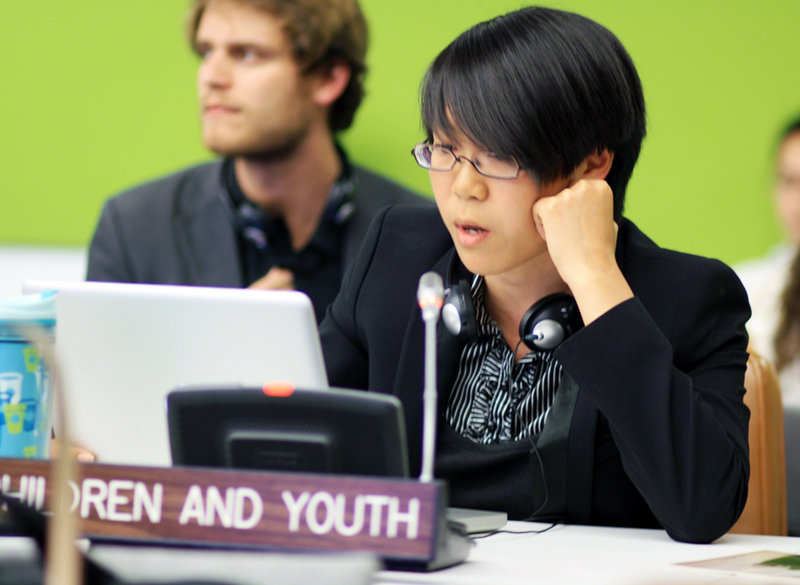 In addition, UN Secretary-General Ban Ki-moon addressed delegates in the afternoon. 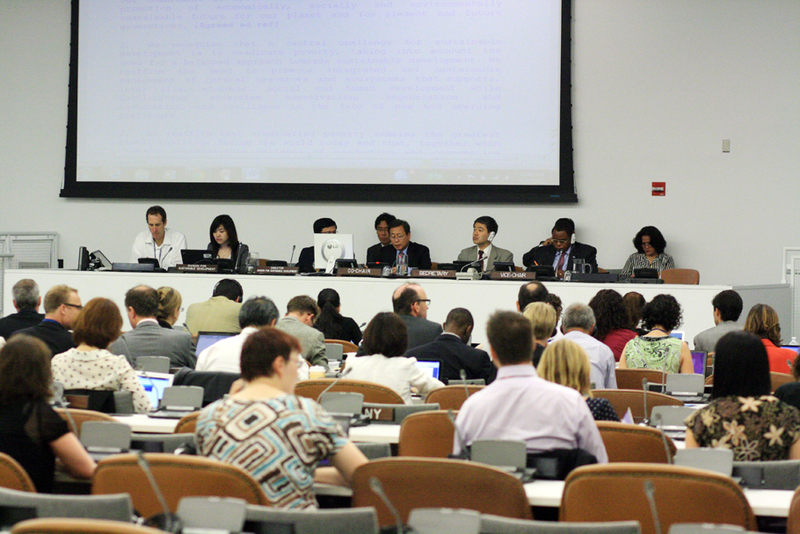 The dais during Working Group II. 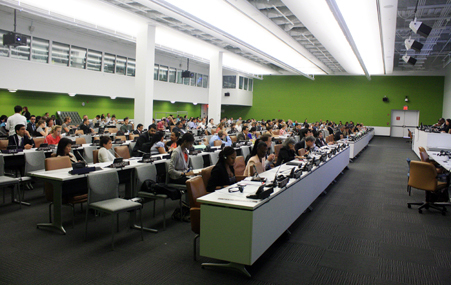 Delegates listening to Ban Ki-moon's address. 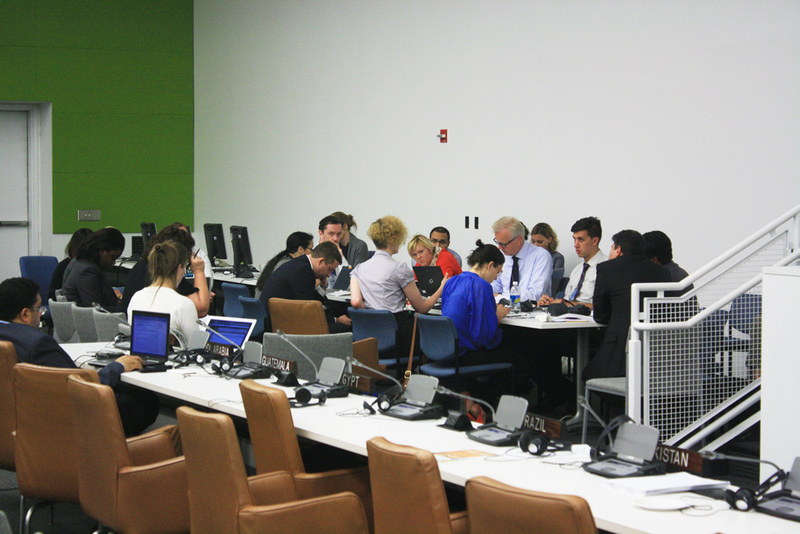 Delegates to the third round of UNCSD informal consultations continued negotiating in two Working Groups and a number of informal groups throughout the day and during night sessions. 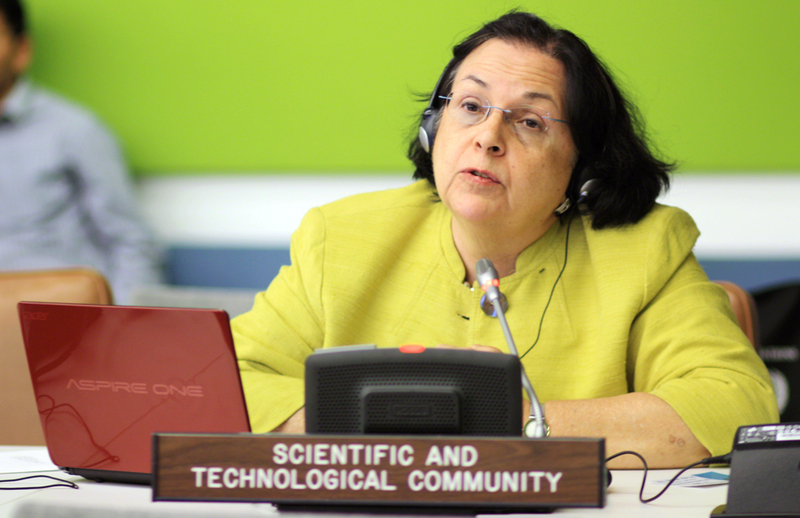 Working Group I considered Chemicals and Waste, Sustainable Consumption and Production, Mining, Education, Promoting Green Jobs, Oceans, Small Island Developing States, Disaster Risk Reduction, and Gender. 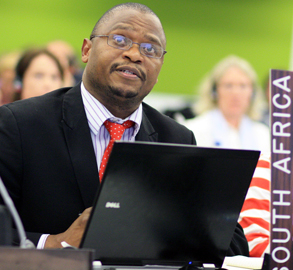 Working Group II discussed text on “Engaging Major Groups and Other Stakeholders” in the section on renewing commitment, and discussed the sections on Green Economy in the Context of Sustainable Development and Poverty Eradication and the Institutional Framework for Sustainable Development. 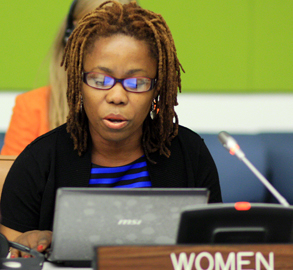 The dais during Working Group I.
Nozipho Wright, speaking for women. 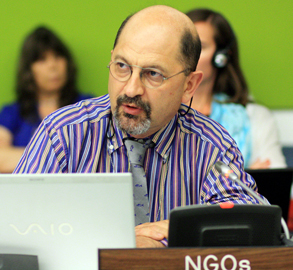 Remi Parmentier, The Varda Group, speaking for the NGO Major Group Ocean Cluster. Delegates during Working Group I.
Brittany Baschuk, Pew Environment Group, and Joan Yang, Nauru. 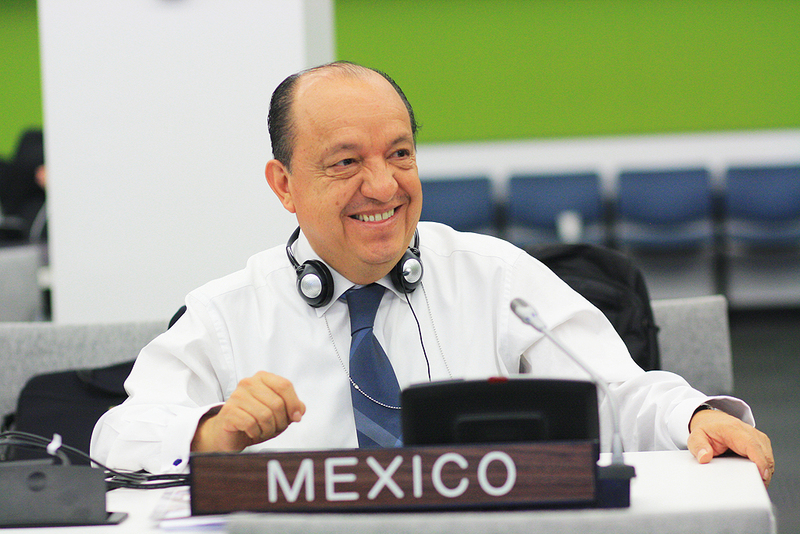 Mexico facilitated consultations on chemicals and wastes. 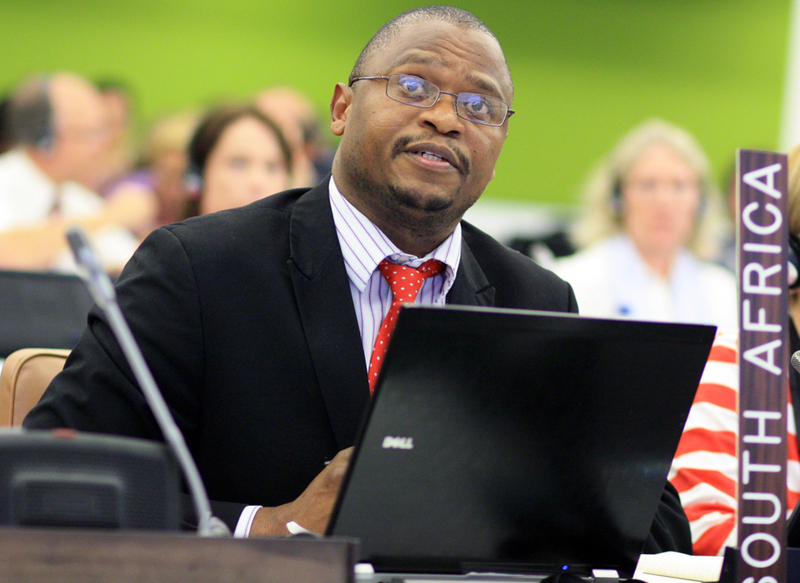 Delegates to the third round of UNCSD informal consultations continued negotiating in two Working Groups and a number of informal groups throughout the day and during night sessions. 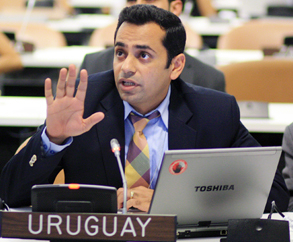 Working Group I considered sustainable development goals and means of implementation, including finance, technology transfer, and capacity building. 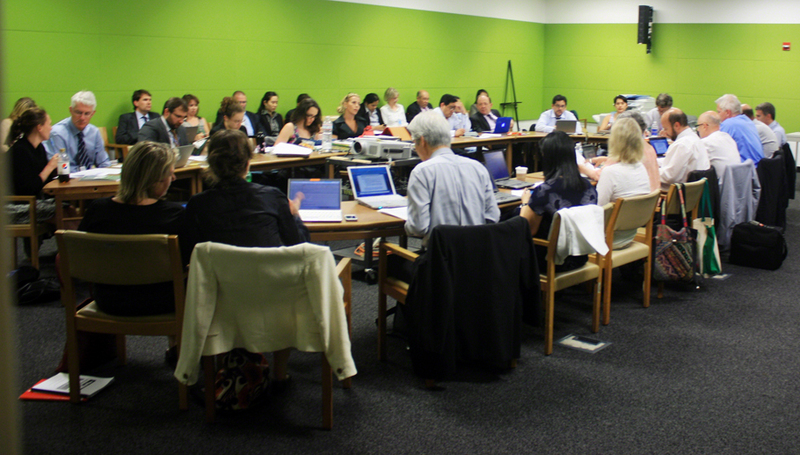 Working Group II discussed the institutional framework for sustainable development, including the status of ECOSOC, UNEP, CSD, multilateral environmental agreements, and other relevant institutions. 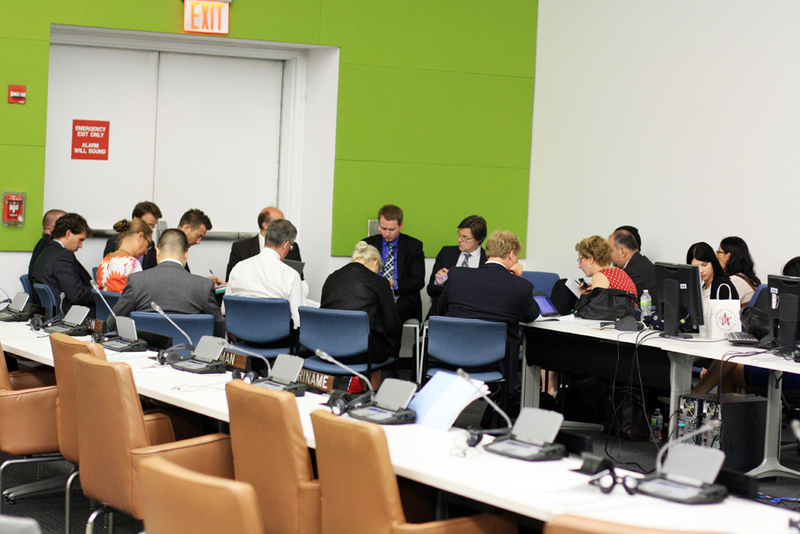 Informal group on water, facilitated by Iceland. 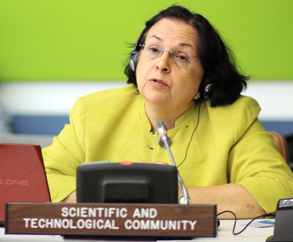 Alice Abreu, speaking for the Scientific and Technological Community. 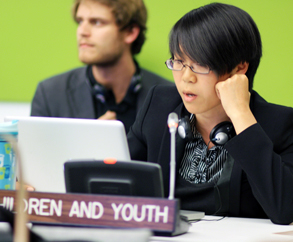 Mika Tan, speaking for Children and Youth. 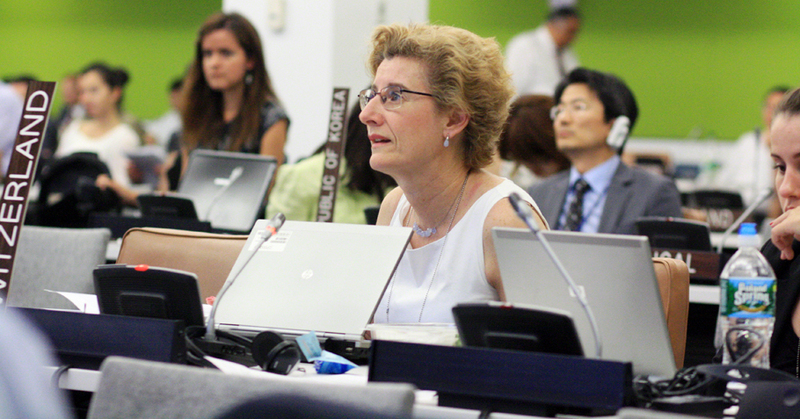 Informal group on oceans, facilitated by Australia. 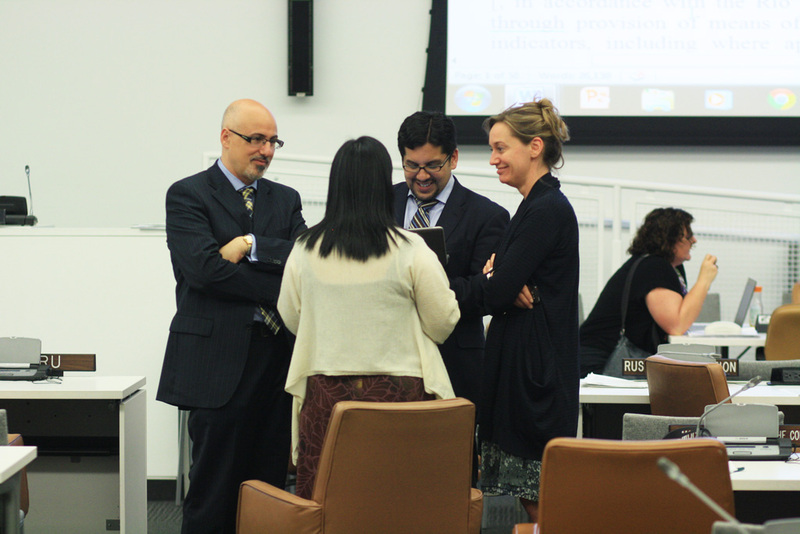 Delegates to the third round of UNCSD informal consultations continued negotiating in two Working Groups and a number of informal groups throughout the day. 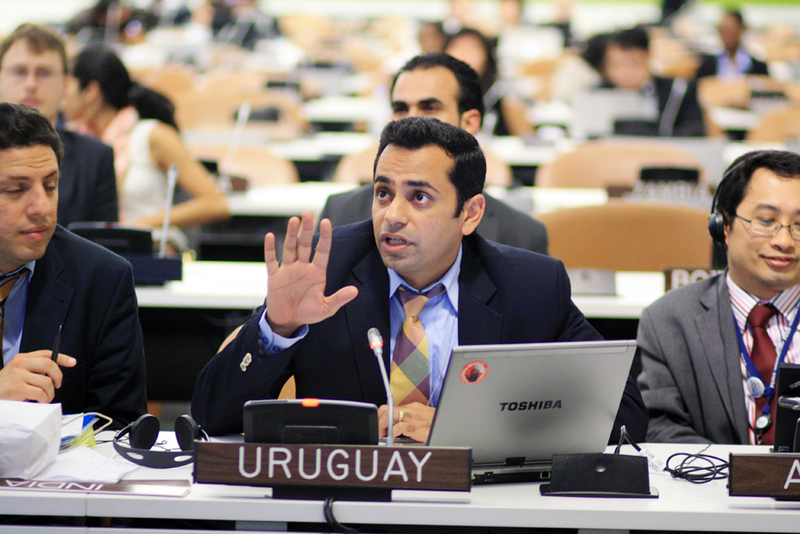 Informal group facilitators reported on progress achieved thus far in late night sessions of the Working Groups. 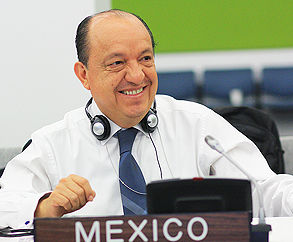 Dámaso Luna Corona, Mexico, reported on informals on chemicals. Charles Barber, US, reported on informals on forests, mountains, and water. Farrukh Khan, Pakistan, for the G-77/China. 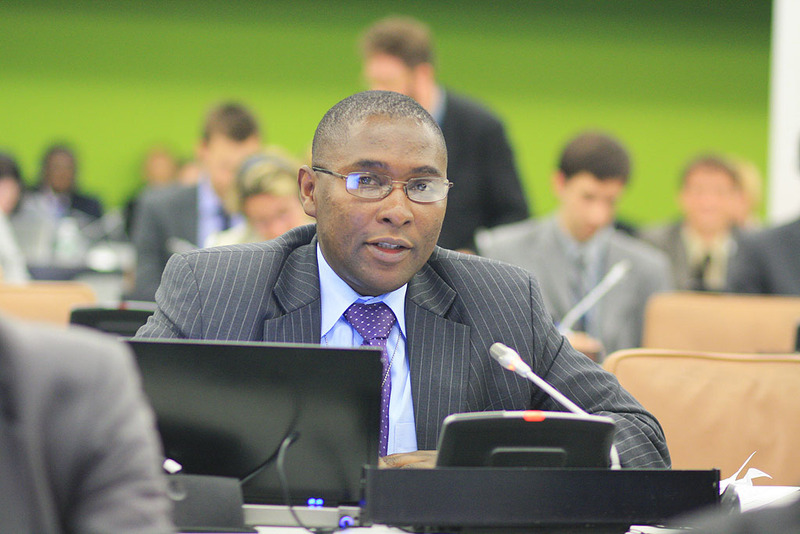 Selwin Hart, Barbados, reported on informals on Sustainable Development Goals, climate change, and means of implementation. 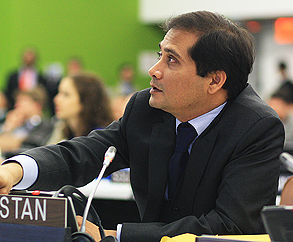 Thibault Devanlay, EU, reported on informals on poverty eradication and jobs. 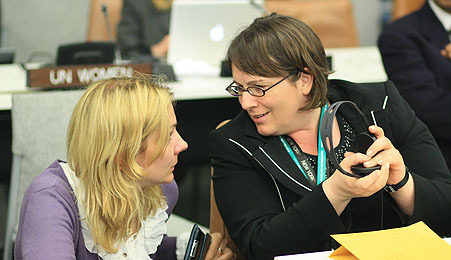 A European Commission delegate with Elfriede More, Austria. Delegates conferred in the evening. 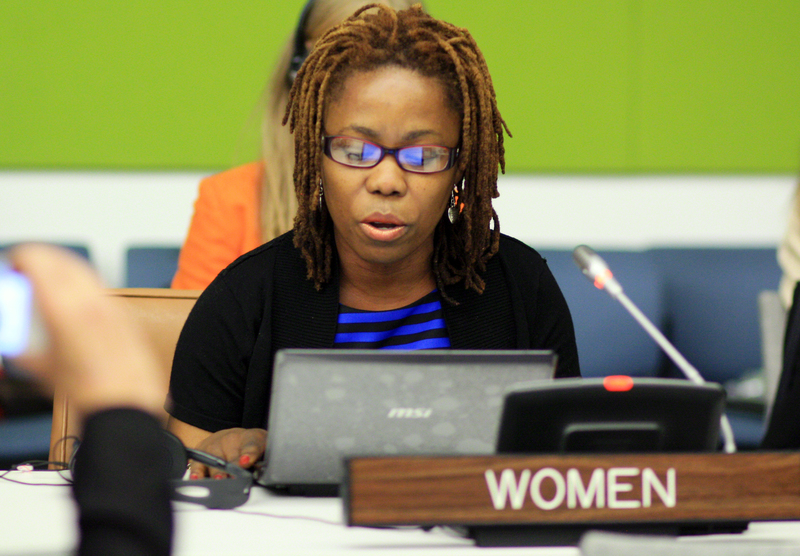 Informal Group on Education and Gender. 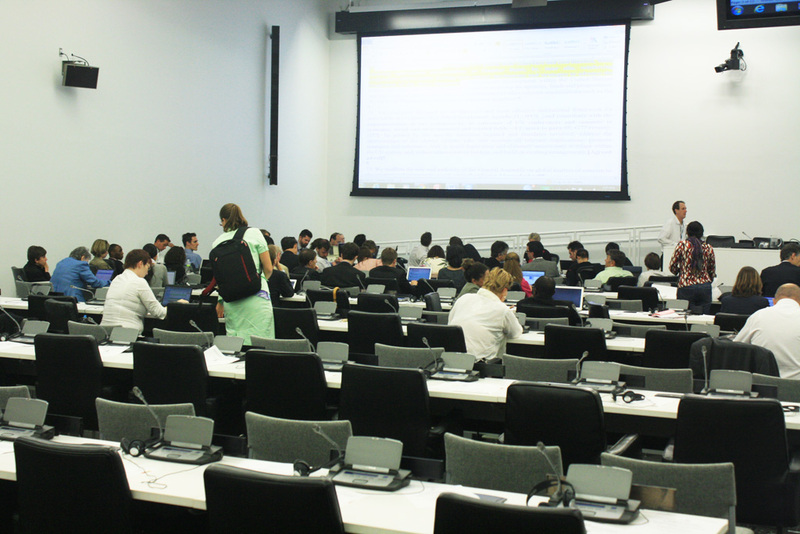 On Saturday, the third round of “informal informal” negotiations on the draft outcome document for the UN Conference on Sustainable Development (UNCSD or Rio+20) drew to a close. 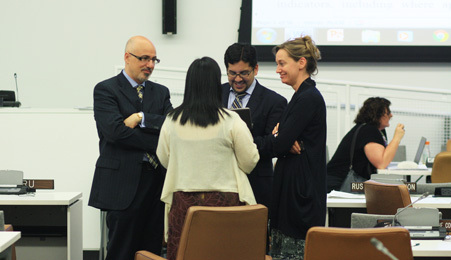 In the morning and afternoon, delegates continued to meet in multiple informal groups, discussing outstanding areas of divergence on a number of topics. 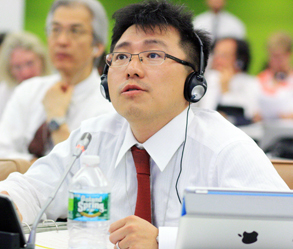 The Working Groups resumed later in the afternoon to receive progress updates, and then met for a joint closing session. 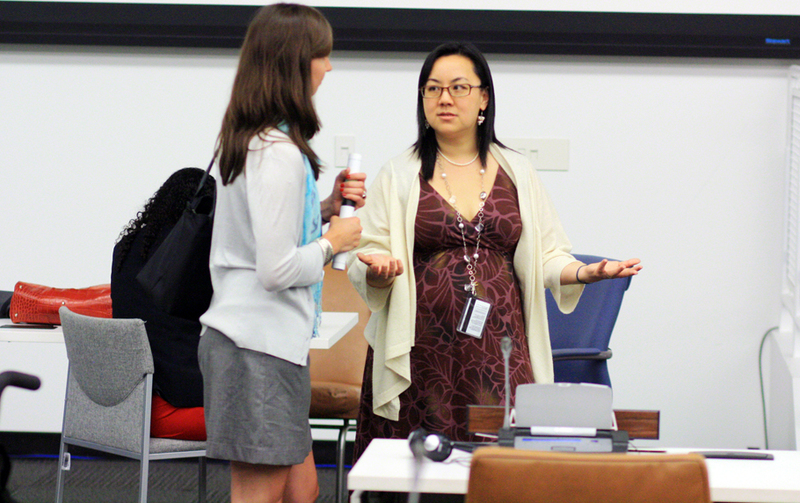 The meeting was adjourned by Co-Chair Kim at 5:45pm. 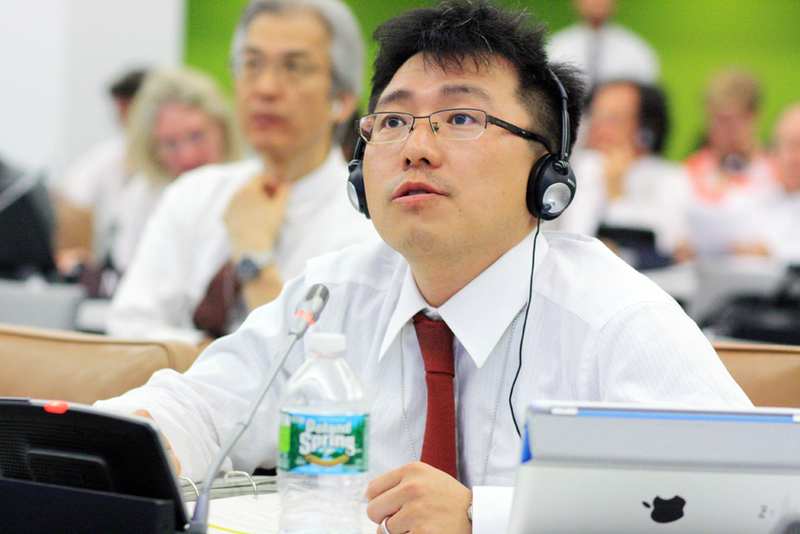 Co-Chair Amb. Kim Sook, Republic of Korea. 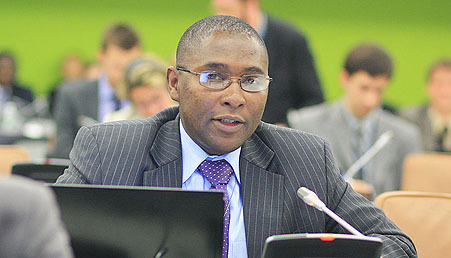 Facilitator Christian Desroches, Canada, reported on the group on mining. 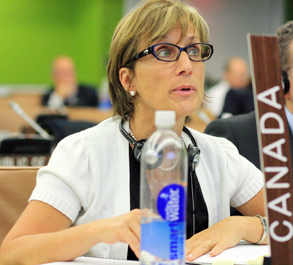 Facilitator Amb. 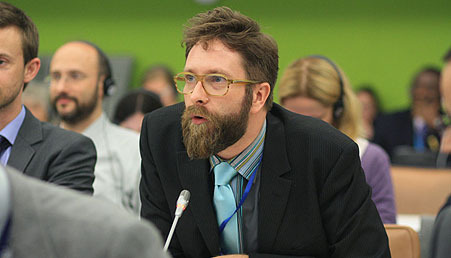 Harald Neple, Norway, reported on the group on gender and education. Lloyd Russell-Moyle, Children and Youth. 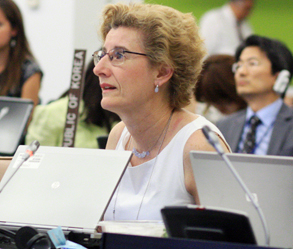 Facilitator Marianne Loe, Norway, reported on the IFSD splinter group. 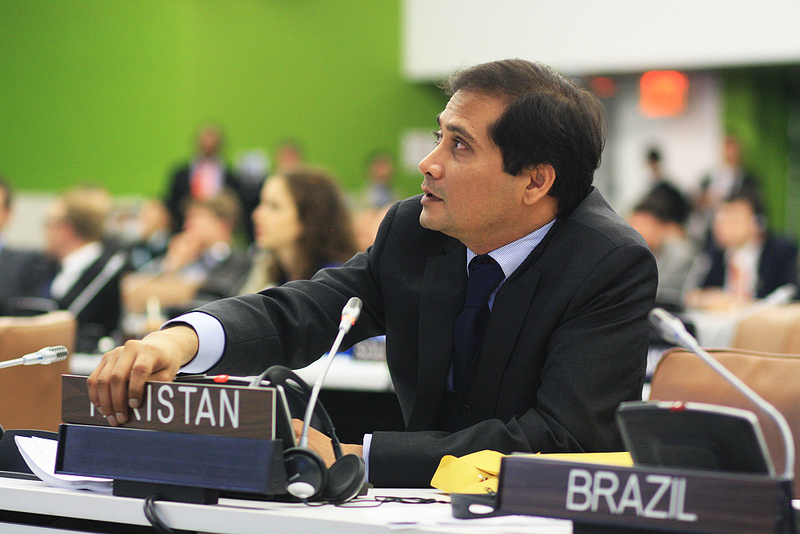 Pedro Andrade, Brazil, for the G-77/China. Delegates with a Rio+20 poster posed for a photo, just not this one. Valérie Bruell-Melchior, Monaco, greeted Maurice Strong. Sergei Martynov, Minister of Foreign Affairs, Belarus. Your Earth Negotiations Bulletin team for the Third Round of Rio+20 Zero Draft negotiations: (L-R) Andrey Vavilov, writer, Russia; Anna Schulz, writer, US; Peter Wood, team leader, Canada; Elsa Tsioumani, writer, Greece; Dan Birchałl, digital editor, US. Absent on team photo day: Lynn Wagner, co-team leader, US.